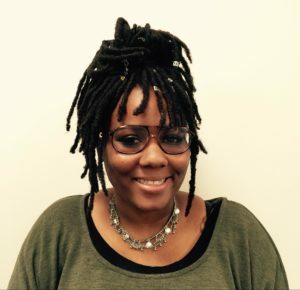 Introducing Year 4 NYC Civic Innovation Fellows! Last week marked the kickoff of the NYC Civic Innovation Fellowship’s 4th year! Throughout this program, our fellows will be trained in a bootcamp where they will learn the fundamentals of civic technology, data, and design. After this bootcamp training, graduates are partnered into innovation teams who explore projects with Manhattan’s twelve Community Boards. 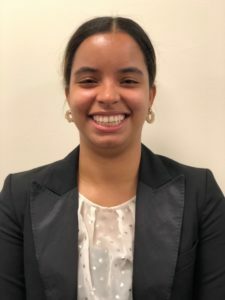 Our fellows were recruited from the CUNY Service Corps a program that connects students with organizations to give back to the community. We are excited to introduce you to all of them! We are looking forward to a great year together and will keep you updated! If you have any questions, send us an email at cif(at)beta(dot)nyc. My name is Karina Ibragimova. My family immigrated to the United States from the former Soviet Union. I was born and raised in Queens, New York. I am fluent in Russian. I have a background in sales, marketing and business development. 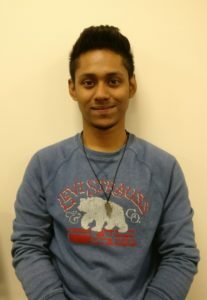 I am currently a junior studying Computer Science at Queens College. I am also in the student ambassador program at school. I enjoy the arts and getting to know about different cultures and history. I also love meeting new people and networking. Why are you excited about CIF? I was initially drawn to the fellowship because I saw that there was potential to gain experience working in my chosen career path. In addition, analyzing and visualizing New York City’s open data will be essential. I hope to learn many new useful skills and use my knowledge and experience to make an impact on NYC communities. I look forward to learning and working together with the rest of the fellows and my supervisors as a team to have a ripple effect throughout our city. My name is Sonia Marinovic. I am a Macaulay Honors student, attending the City College of New York. I am currently in my fourth year of undergraduate school studying Economics and Policy. 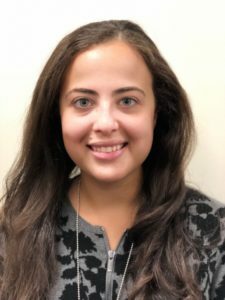 My previous experience includes scientific research in photonics and nanotechnology, as well as interning in Assemblywoman Nily Rozic’s office in constituent services. I look forward to a fun productive year with Emily, Noel, and my fellow CUNY students. What drove you to choose the Civic Innovation Fellows program? I was attracted to BetaNYC because it closely related to my field, public policy and economics, and it had a strong research component. I believe that the future will be driven by technology and analytics, so I am grateful that there is a program dedicated to modernizing local government. Through this program, I hope to gain experience in open data analysis and data visualization. I want to expand my current analytical skill set and learn additional skills. I also hope to develop projects that will positively impact a community. We will be working on projects that directly relate to local New Yorkers’ lives, as well as possibly presenting in front of the Borough of Manhattan Office Staff, which should be exciting. I look forward to showing local community boards the benefits of working with public data as they make informed and impactful decisions. 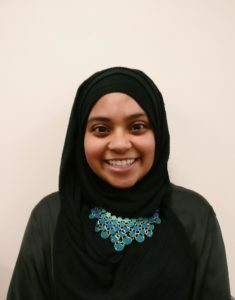 My name is Nazija Akter, and I’m a sophomore at Macaulay Honors College in Queens College. While I still have not declared my major, I am strongly considering double majoring in Computer Science and Urban Studies. Because of my interest both in technology and how cities are maintained, I knew the Civic Innovation Fellowship was perfect for me. 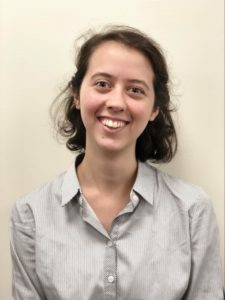 I have lived in New York City all my life and would love to help improve it or make the way it is run more efficient in any way, and the Fellowship allows me to do so while also gaining important knowledge and experience on how to do so. Outside of school, I love to keep up with current events, learn new languages, and read. This year, I really hope to understand how to use the city’s open data to learn more about a community and what policies would work best in that community, while learning more about local government, and the distinct challenges that arise with governing New York City. I hope to understand policies better, both how they are formed as well as how they are evaluated. Learning about the Civic Innovation Fellowship, I appreciate its goal to empower Community Boards to make more informed, “data-driven decisions,” and involving their own communities more in the process. 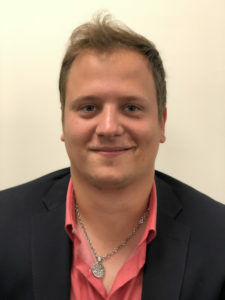 Its vision of “a public that can use data and technology to hold government accountable [and] participate in the political process” is very important to me, and I think can have a very constructive and progressive effect on civic engagement as well as people’s perceptions of politics and government. I am very excited to see tangible outcomes of my work, whether it be my own proficiency at understanding open data, or measuring Community Boards’ increasing use of open data and technology in how they make decisions. I can’t wait to talk to and interview Community Boards, and even try my hand at using open source data to propose possible policies to improve the lives of New Yorkers and present my work to real politicians. My name is Federico Gabriel Toscano. I was born and raised in Villa Devoto, a neighborhood in Buenos Aires, Argentina. I came to the United States on a sports scholarship in tennis, which was crucial for me since the economy in my country has gone through some challenging times in the past few years, to pursue what I love: a career in Computer Science. During my first year in this country, I studied in a very small town in Kentucky called Pikeville. Although I had a productive time while staying there, I wanted to experience living in a bigger city. Looking for different opportunities, I received an offer to come to Queens College, where I have been studying since 2014, and where I am following my two passions, tennis and Computer Science. I am currently a senior expecting to graduate in December 2018. What are your assumptions about the program? As I start my internship in the Manhattan Borough President’s Office, I can only say that I love how the program works. . I can’t wait to learn the broad amount of content that will be taught, so that I can then apply it to real world situations. Regarding my assumptions, I believe that after all the coming months of training and learning, I will be able to give back to the community by cooperating with the people who work at this program and by performing according to what is expected of me and beyond. engineer. Also, as a technology savvy, I love to code. Enthusiastic and gaining new experiences is motivational. Really interested in marketing and communication. Seeking a professional experience and continuing growth. Interested to know how the government works and the data structure. Also, a member at the College of Staten island emerging leaders program. What are your expectations for this program? My expectations for the program are learning NYC’s government structure, history, and how to manipulate open data. Moreover, obtain the skills that will transfer to my future entry-level position, as well as to work on projects and be able to explain them well enough that the experience will be considered valid and valuable. Adding to this, I want to sharpen my skills in excel, public speaking, project management, event planning, civic engagement, using the city’s open data portal. My name is Lili Izquierdo. I am a senior at Queens college. I was born in the Dominican Republic and raised in Queens. I am bilingual in Spanish and English. I am a sponge for learning: from history, different cultures and languages, and the arts and sciences. I am double majoring in Political Science and Economics. My concentration is in International Politics. I find economic policy to be particularly fascinating as it addresses problems in public finance. I am excited to be part of the Service Corps cohort 5 in the Office of the Manhattan Borough President. What are your aspirations for the program? During my service, I aspire to learn about sophisticated programs such as web mapping (GIS) in Carto, Socrata, Excel and many more. I also hope to hone my public speaking capabilities. As part of the Civic Innovation Fellowship curriculum, we will be exposed to advanced data and mapping tools. I believe these tech skills will complement my political science and economics background. I expect to conduct research geared towards improving community issues such as housing, crime and quality of life and therefore, these findings promote data driven policymaking. I look forward to engaging in my community at the local level. Most of all, digitally empowering community boards in how they interact with their constituents. I am Shovan Bala. I am a transfer student from Queensborough Community College currently attending John Jay College of Criminal Justice. I am a junior majoring in International Criminal Justice. I moved to the United States nine years ago for a better education and further opportunities. I am passionate about psychology, cultures and languages around the world, and international issues. I learned Hindi and Urdu from watching television in Bangladesh and studied Arabic in Queensborough Community College. I learned to sing and play the harmonium at age ten and became a sprinter at Queensborough track and field team to adapt myself as a well-rounded person. I enjoy creativity and a sense of humor. Why did you choose the Civic Innovation Fellow Program? My interest in NYC Civic Innovation Fellow began since the beginning of the Service Corp program’s application process. I learned CIF is a program that works with city’s open data portal and focuses on New York City’s local civic issues. In my perspective if an individual wants to make a difference in the world, that person must make a difference in his/her community first. I mainly want to make a difference in people’s lives in NYC and in order to accomplish my goal I have to learn and understand civic issues such as housing and crime in neighborhood that people faces in their community. Also gaining further understanding and knowledge on Microsoft Excel, Carto, Slack and BetaNYC were one of the reasons that reasons that drew me into CIF. 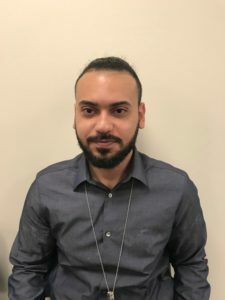 I wanted an experience that would enhance my computer skills and a place where I would come across fellows with similar interests as mine to further develop NYC. 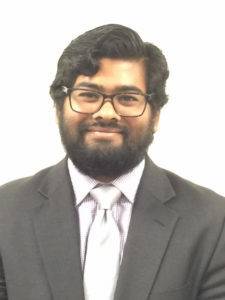 My name is Ramesh Beharry, and I am in my junior year at Queens College majoring in economics, political science, and comparative literature with an end goal to articulate the benefits and costs of public policies in an accessible way. I am excited to start the Civic Innovation Fellowship at the Manhattan Borough President’s Office and BetaNYC. As a veteran and a son of immigrants, our family has struggled hard to carve a piece of the American dream. I enlisted in the Marine Corps out of a great desire to serve the public in the best way I knew how at seventeen-years-old. Along my journey, countless agencies help our family so that we could continue to persevere, and I value the grit instilled in me through my experiences at home and abroad. Because I was a recipient of such public service, and I am in a capacity to forge change myself, I am excited to start helping others. What do you hope to bring to the program? I believe my studies and work experience will advance the program’s mission to create a more resilient, educated, and economically stronger city. I have taken a broad study path that has incorporated many economics, political science, and comparative literature classes, which I believe balances the necessity of intimately understanding the human experience and suffering with the pragmatic nature of problem-solving in a bureaucracy. I had to act quickly as a Marine, and I adapted to the procedural demands of the job, but I’ve placed great importance in my humanities courses so that I can develop and fully realize the weight of my decisions, my work, and its overall impact. My name is Kamilah Hayes-Lewis, I am in my second year at The College of Staten Island, studying Political Science and International Studies. I am inspired by the quote from the renowned Dumbledore of Harry Potter: “We are only as strong as we are united, as weak as we are divided.” I believe this is something that is so important now more than ever. That being said I am passionate about learning languages, exploring the world and bringing people together. I am thrilled to have the opportunity to be able to enhance my skills in digital literacy because I believe it is crucial in making wise decisions to improve the wellbeing of communities, the country, and the world. I am excited to be joining a group of my peers and professionals who share an overall goal of wanting to improve the quality of life of New Yorkers. My expectations for the year is to learn and develop skills that will help me to have a positive impact on my community and later the world. I also hope to make meaningful connections with people. I have recently taken a gap year in Ecuador and was placed in small community in the Amazon Rainforest. There I was able help to create change in the community that I was placed in. I realized while I was there, if I could help enact change here in a country where I barely spoke the language and didn’t know anyone, then I could do it right here in NYC in my own backyard. That is what really drew me into CUNY Service Corps and to this internship.